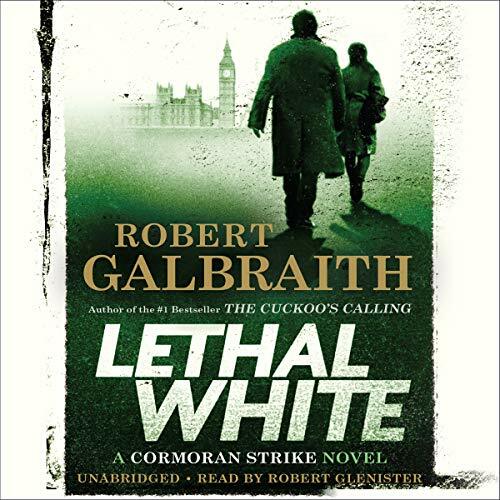 Lethal White is the fourth book in the Cormoran Strike series from the international best-selling author Robert Galbraith. "I seen a kid killed... He strangled it, up by the horse." And during this labyrinthine investigation, Strike's own life is far from straightforward: his newfound fame as a private eye means he can no longer operate behind the scenes as he once did. Plus, his relationship with his former assistant is more fraught than it ever has been - Robin is now invaluable to Strike in the business, but their personal relationship is much, much trickier than that. 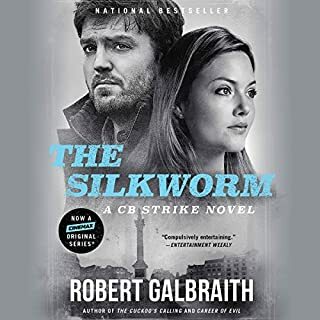 The most epic Robert Galbraith novel yet, Lethal White is both a gripping mystery and an addictive next instalment in the ongoing story of Cormoran Strike and Robin Ellacott. Another fantastic story and performance from the Strike series. Can't wait for the next book. 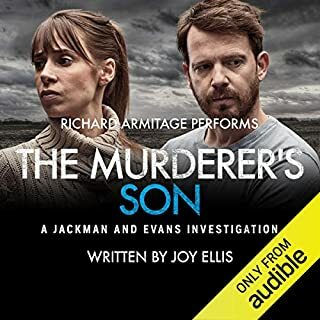 loved that the narrator had different accents and voices for every character, really made a huge difference to my listening experience! 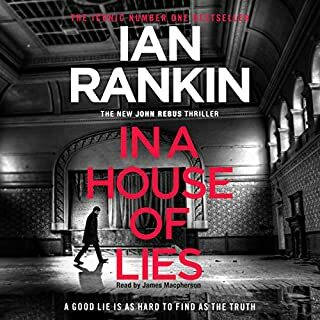 I love this series and this, the 4th installment, did not disappoint in any way. 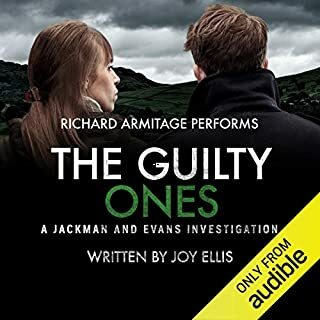 The captivating performance of the narrator , Robert Glenister, brings the excellent writing to life. I fully hope there will be a 5th !!! 20 hours of fantastic narration and writing! I’m in love with both Strike & Robin! I feel like I know their thoughts. This was an excellent story and well worth the time! 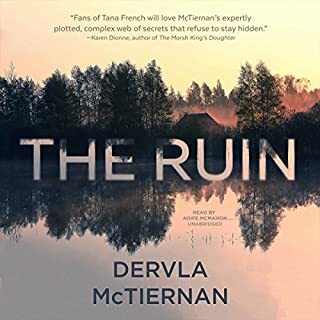 I’d read/listen again! The only problem—now that I’ve finished this book—what do I read now!? I highly recommend the series and I’m waiting, somewhat impatiently for the next book in the series!!! 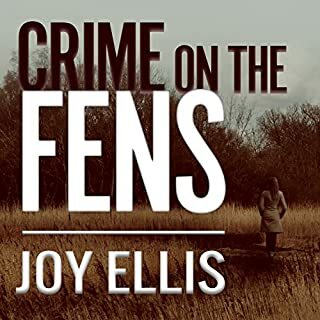 An amazing mystery filled with lovable characters, great prose and action. read series in order. I’m officially obsessed with Cormoran and Robin. It’s going to be hard to wait for the next book. 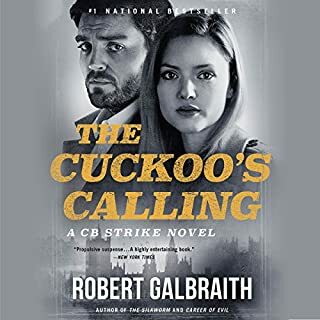 Robert Galbraith's Cormoran Strike series keeps going from strength to strength. The characters are excellent. This is my favorite series and I am already dreading the long wait for the next installment. My only consolation is knowing it will be worthwhile. 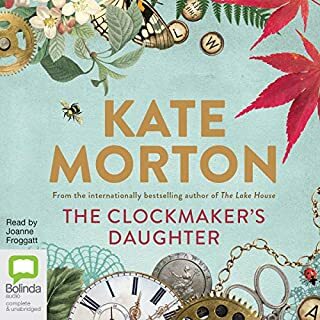 The 22+ hours spent listening to this narrator play out the story have been the highlight of my days, although I'd never let on to my children about that. I've watched the TV series and am, again, dreading the wait for the next season. 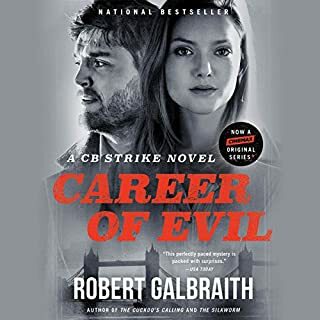 I am a huge fan of this series, but I don't care nearly as much about the mysteries as I do about the relationship between the main characters, Robin & Strike. 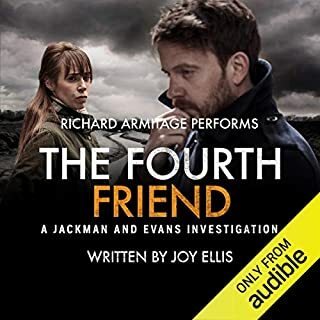 I LOVE this narrator, Robert Glenister, and love how he does the voice of Strike. I don't want to watch the BBC show and have that impression of Strike sullied! Also, Glenister avoids the campy, mocking singsong that so many male narrators use when they portray women. 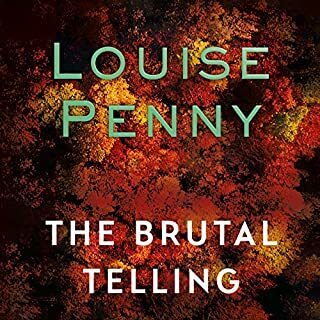 He does all the voices and distinct accents (the author often calls out the dialect, so you really notice him switching from Cornwall to Yorkshire to London, etc) so well. He deserves an Audie. Okay, to the point: the mystery story is as good or better than the earlier mysteries in this series. I enjoyed the various bad guys and clues, and the political overlay of the London Olympics. I loved the Billy character and the unreliable witness element he brought. But what we all want to know is, WHAT'S HAPPENING WITH ROBIN & STRIKE? No spoilers, but the book gives you enough of the two of them to keep you on the hook. I can't say anything else. I'll get the next book for sure. PS: Don't read these books out of order. Start with the first in the series. And if there were, I’d be starting it right this minute. Yes, the Rosmersholm quotations were weird at first (why Rosmersholm? ), but I came to appreciate them by the end as useful prognostic indicators of what each chapter might hold. And yes, there were one or two times when I thought the plot might be spinning out of the author’s control, and/or that there were too many (silly-named) characters. And yes, I was confused by the swans at the end and had to search on the internet to discover their significance. 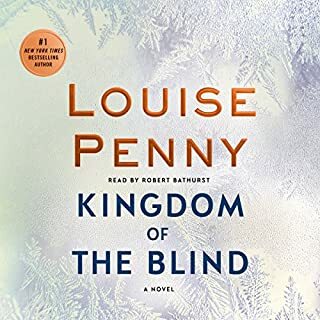 But overall, I loved it, thought it easily the best of the series so far, and was only disappointed that there was no book five I could immediately start listening to. Will be very eager to purchase it whenever it finally arrives. Robin and Strike are both fully realized and engaging characters, now that Robin has finally grown a pair, so to speak, and it will be very exciting to see what new adventures await. Reread the previous two books and enjoyed this one immensely. Also love the narrator, Robert Glenister. Great addition to the series. It may seem a little slow to some listeners, but this is the kind of book I like to listen to when I knit. It's not so convoluted that I lose the plot, but it's got enough action going that it keeps me interested. It feels like I have waited forever for this book number four. The naration is absolutely outstanding -- just like the other three books. I am already listening to the book again. The only criticism I have is now I have to endure another excruciating wait for book number five. It's the kind of book that involves your whole mind and body. I see the scenes rolling in my mind as I listen and sometimes realize I've been holding my breath. I had to make myself stop listening to attend to mundane activities such as eating, sleeping, work and relationships. 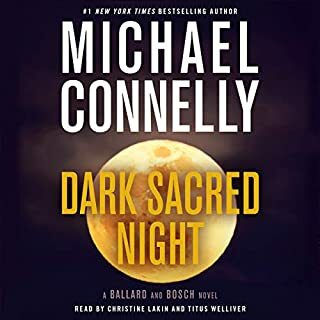 I will sheepishly admit that I rarely choose audiobooks of this length and was afraid I might be tempted to fast forward through parts, but Lethal White balances between the engaging main characters' lives and the enthralling set of mysteries they investigate. I relished every minute and, like other reviewers, look forward to the next novel. 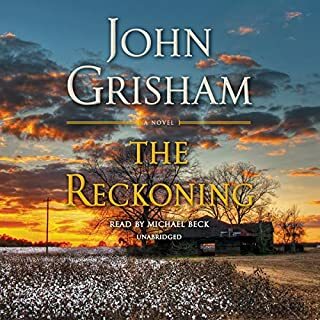 If you haven't read the first three books in this series go ahead and buy this one. Then take audible up on that lovely offer to buy discounted credits as you'll be wanting to buy those first three asap. 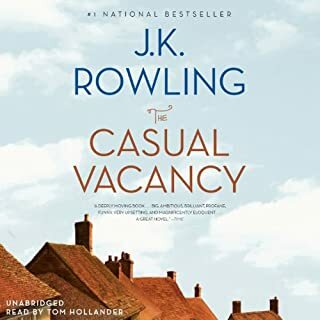 This series is so fantastic, I sometimes think I should get the Harry Potter books as well. 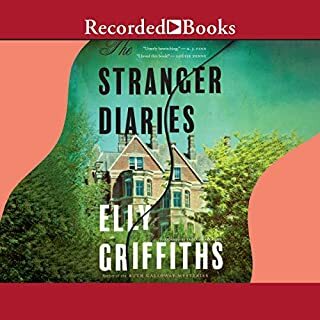 It's so odd: when I read the summary and reviews, I always think the books won't really interest me, but in 5 minutes or less I'm sucked right in. These are real keepers. 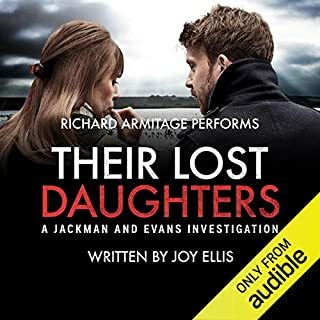 The superlative acting skills and amazing vocal range of narrator Robert Glenister make this novel seem way more interesting than it actually is. 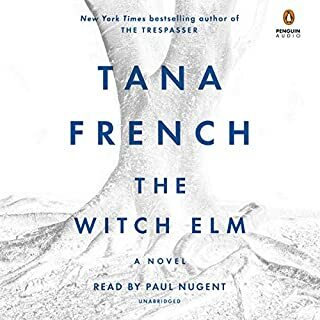 After a few chapters of slug-like plot development, I realized that it was Glenister's voice and not the author's words that were holding my attention. It's no exploration of emotional paralysis like "Remains of the Day." It's just a poorly executed set-up that's been executed brilliantly many times before. Oh for the teasing banter of the crime-solving Thin Man couple or the tough talking sexual tension between Bogey and Bacall. That Robert Glenister, he could read the IRS tax laws aloud and fog up my glasses. Ready for the next one now! Worth waiting for—but I hope we don’t have to wait so long for book 5! Robert Glenister is amazing and brings Strike and Robin to life as perfectly as if they were real people. I missed them both immensely while waiting for this book. While Matthew continues to be a complete jerk, the tension in the perfectly imperfect relationship between Robin and Strike, added weight to the case they’re working on. Every word is woven perfectly in JKR style. She is so gifted in this genre I wish the series would not end. Fantastic addition to the set! I'm soooooo glad it's the same narrator. I'm soooooo glad it's the same narrator, he is great! I am so excited for to listen to this book. I'm just afraid to finish it and have nothing good to listen to next! *update: Awsome book. Highly recommend. When is the next one coming out?